Are you looking for climate-controlled storage units in Decatur? Maybe your business needs to rent a drive-up unit to store tools and equipment or extra office furniture. Our Druid Hills storage facility offers an assortment of unit sizes at great storage rates. All of our ground-floor storage units are designed with roll-up doors to make move in day a breeze. A budget-friendly 5X5 unit comes in handy for families who need to store seasonal outdoor equipment during the off season. Larger, 10X10 units are ideal for storing furniture and appliances from an apartment or a small house. These units can also accommodate tools and equipment as well as bikes, camping gear, golf clubs, and fishing tackle. Whether you attend Emory University and are looking for short-term student storage, or you’re experiencing a life transition and need reliable storage, we’ve got you covered. Call or stop by Metro Self Storage in North Decatur today and one of our friendly storage professionals will be happy to show you our facility. Let us help you expand your business and increase productivity. 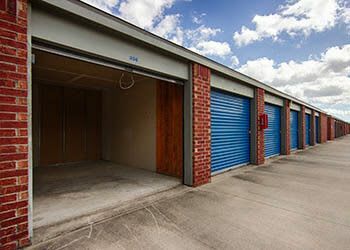 Call Metro Self Storage and find out how easy it is to utilize storage units for your business storage needs. Whether you are looking for the best movers or the best storage facility in town, our knowledgeable, friendly storage team is here to help you in any way they can. Often referred to as Atlanta’s “second suburb,” Druid Hills is a tight-knit community with more than 15,000 residents. Our major employers include Emory University and the Centers for Disease Control and Prevention. Metro Self Storage facilities are conveniently located throughout the Atlanta Metro Area. We look forward to meeting you and providing you with easy, economical, and efficient storage solutions. Remember, wherever life takes you, Metro is on your way. Reserve your Druid Hills storage unit today with our easy online reservation system.